The largest toy shop in the world has done it again - Hamleys have predicted the top toys for Christmas 2013 in the freezing temperatures and grey skies of - June. The toy list is very firmly animal-based, with the robotic Teksta Puppy barking, wagging and whimpering its way into the hearts of millions of kids, we suspect. For those who like to pamper their pets, the VIP Pets series can be brushed and primped to perfection. 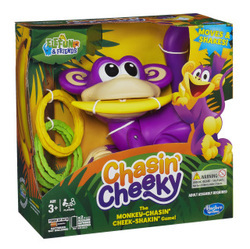 The Chasin' Cheeky game mixes three things kids can't resist - monkeys, bananas and dancing, while the remarkably realistic Robo Fish swim just like the real thing for under £15 each. 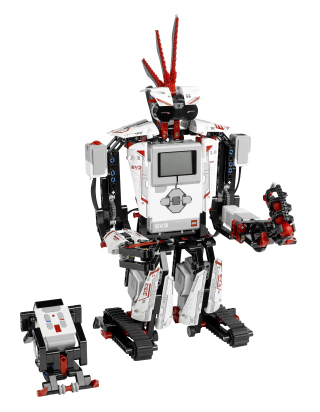 LEGO are represented by the Lion Chi Temple from the Chima series, and while not on the top 10 list a hot pick for those with deep pockets is the Lego Mindstorm EV3, a programmable kit running Linux that kids can build into a robot or a robotic snake. TV and movie tie-ins incldue new Monster High 13 Wishes dolls and a Sulley Monster mask from the "Monsters University" film. The LeapPad moves into a higher gear with the LeapPad Ultra, including new front and back cameras, video recording, and hundreds of games to choose from. 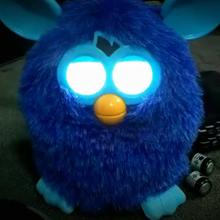 And then there's the Furby - yes, back again, but this time it's the Furby Boom. Hasbro are keeping its finer features under wraps but we suspect it'll interact wth a whole bunch of tablets and iOS devices as never before. He's cute, he's clever and he's ready to obey your commands! The new Teksta Puppy responds to light, sounds and gestures, as well as voice commands. Tell him to sit, stop and backflip, or turn out the lights and he'll go to sleep! Leap into action - buy your LeapPad Ultra from Amazon now! These Robo Fish are amazing - pop them in a bowl of water and they'll behave just like real fish, darting about, diving down, or just swimming about. Really great toy at a really great price - RRP £14. He's new, he's special, he's also top secret so we have no idea exactly what he does yet! 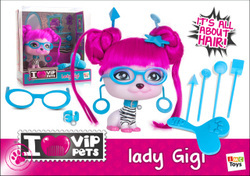 Keep your eyes peeled to this site for further Furby information when we get it! Go get'em girls! No Christmas would be complete without a new Nerf, and the new Rebelle range is made with the girl Nerfer in mind. These are brand new designs, with firing ranges comparable to the N-Strike Elite series, and with Collectible Darts. The Guardian Crossbow (pictured), has a tactical rail running along the top, integrated shoulder stock, single fire and slam fire modes, and comes with six Collectible Darts. 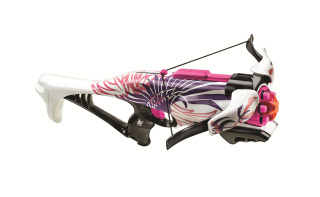 The range also includes the Heartbreaker Bow, Pink Crush, Sneak Attacker and Wildshot Nerfs, plus a range of accessories and mission kits to match.